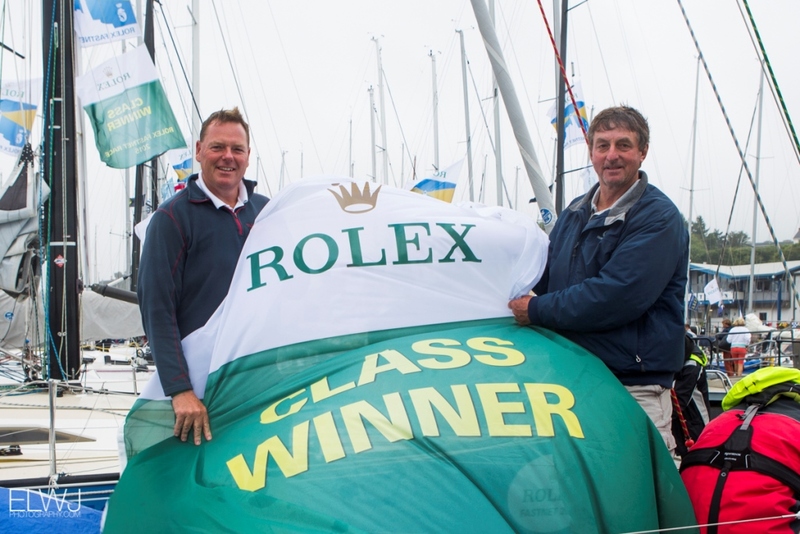 Racing two handed in the Rolex Fastnet Race for the first time, Kelvin Rawlings & Stuart Childerley - campaigning the 20-year old J/105 Jester - won by a dramatic 23 seconds after time correction from Night and Day. Antoine Croyere and Joe Lacey's A35, Hey Joe was third. 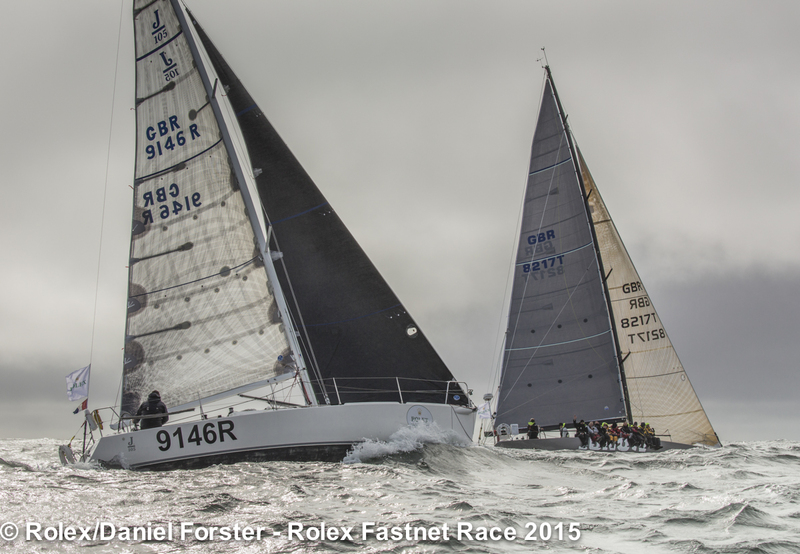 Jester was also fourth overall out of 309 yachts racing under IRC. Kelvin Rawlings has competed in the America's Cup, won several Admiral's Cup campaigns and taken part in over 21 Fastnet races, but never two handed. His long-time ride has been with Mike Slade's Longobarda and Leopard, including the record run on the 100ft Maxi in 2007. Turning 65 next year, Kelvin received a proposition from his long time friend, Stuart Childerley, about a new challenge. Stuart, who turns 50 next year, has represented Great Britain twice at the Olympics, coming fourth on both occasions and has also won the International Etchells World Championship twice. Stuart has competed in seven Fastnets including several Admiral's Cups and big boat racing, including Leopard and is still a potent force in the International Etchells class. A poacher turned game keeper, these days Stuart Childerley is an International Race Officer working for the Royal Ocean Racing Club on inshore regattas, including the IRC National Championship and the Brewin Dolphin Commodores' Cup.